Attractive snowflake decoration that's supplied with a 'string' attachment so it can be hung on a Christmas tree or alternatively 'stuck' to a metal surface with its handy magnetic backing. 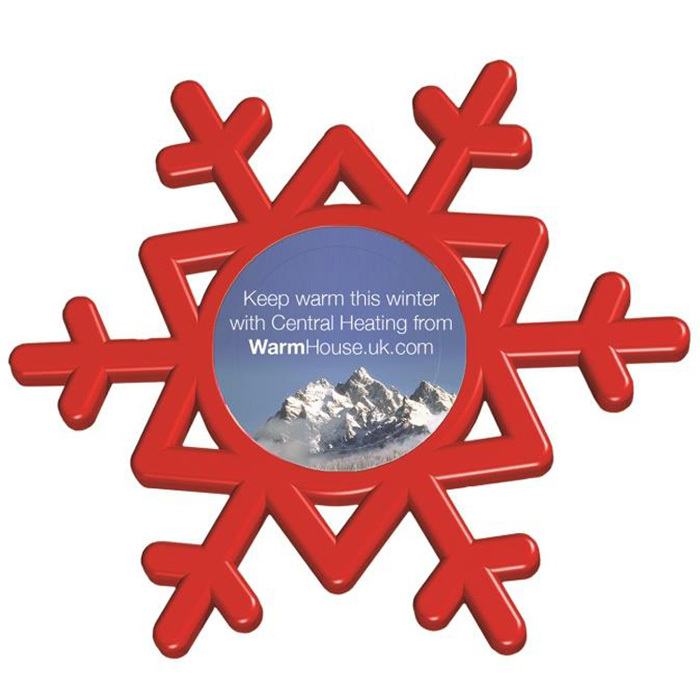 Your logo or message will be printed in full colour onto a paper insert that's encapsulated in the centre of the snowflake. A great extra feature is that the item can be re-opened so the recipient can add their own photograph at a later date. Price includes a full colour print onto a paper insert.